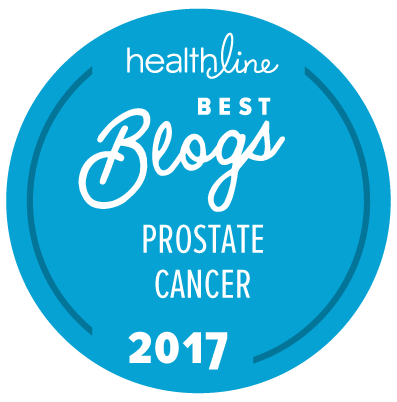 As it does at least once a year, the National Comprehensive Cancer Network (NCCN) has just released version 1.2018 of its guidelines for physicians on the management of prostate cancer. The latest, complete guidelines can be accessed if you click here (but you do have to register to be able to access these guidelines). There appear to be some relatively extensive revisions to the guidelines for 2018 that are minor in some places but significant in others (where data from major new trials have led to alterations in recommendations as to appropriate forms of management). Please note that we have not attempted to provide a complete and detailed summary of all the changes to the NCCN guidance just issued. This summary can be seen on the UPDATE pages 1 to 4 at the beginning of the actual document. Please note also that the new document does not yet include any guidance about the use of either apalutamide (Erleada) or enzalutamide (Xtandi) in the treatment of men with non-metastatic, castration-resistant prostate cancer. The data on these two drugs presented at the recent Genitourinary Cancer Symposium in San Francisco were not reported early enough for inclusion in this new set of guidelines. Editorial note: The NCCN guidelines on prostate cancer for patients were last updated in 2016. The new guidelines represent the recent approval of FACBCPET/CT in USA by FDA and also reflects the lack of approval of PSMA PEWT/CT routinely used in most university hospitals in Germany and in Australia as the routine choice for PET/CT for prostate cancer. So far many hospitals reported the gain from switch from choline PET/CT to PSMA PET/CT — but there is no report in the world where a hospital had switched from PSMAPET/CT to choline or FACBCPET/CT with gain for the patients. So the new guidelines may be considered obsolete for countries using PSMA PET/CT. PSMA PET/CT can find cancer lesions in the so-called non-metastatic prostate cancer and shows that in fact many of these patients have metastatic sites of recurrence after initial radical prostatectomy. So if the doctor tells you after radical prostatectomy that you have non-metastatic prostate cancer, consider going to a hospital that offers PSMA if you want to have a treatment based on knowledge of he site of the recurrent prostate cancer. The NCCN guidelines are only intended for physicians practicing in the US. Other countries have their own guidelines. Here in America no manufacturer has even tried to get a PSMA-based imaging test approved as yet. … The regulations for the use of this type of test are very different here in the USA than they are in Europe and elsewhere. In looking over the “new” NCCN guidelines I see that the entire discussion section is pending an update from 2/27/17 previously. I’m wondering how to learn when that part of their guidelines will have been updated, as I find it quite interesting. I doubt if anyone can tell you the answer to that question with precision, but I would be surprised if the update to the Discussion section wasn’t complete by something like July — and maybe earlier.